Flip a coin. 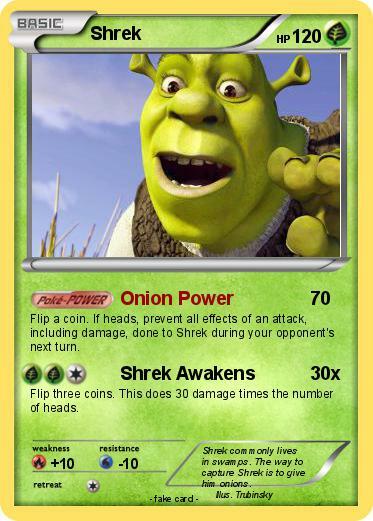 If heads, prevent all effects of an attack, including damage, done to Shrek during your opponent's next turn. Flip three coins. This does 30 damage times the number of heads. Comments : Shrek commonly lives in swamps. The way to capture Shrek is to give him onions.